This image is from the film "Things We Don't Talk About" used with permission by filmmaker, Isadora Leidenfrost, PhD. ​The Red Tent Movement was started by ALisa Starkweather, inspired by the book "The Red Tent" by Anita Diamant. their inner truth and their highest selves, supported and accepted by a community of women. Red Tents provide such a space. A Red Tent is a supportive, woman-only space in which we gather to tell stories, celebrate ourselves, learn from each other. Here we are able to let go, if only for a time, the roles we take on in other aspects of our lives. A Red Tent s a safe space where women engage in sacred self care experienced through sacred ceremony, creative expression, engaged discussion, rites of passage or simply being in sacred space together. A Red Tent is open to all women of every age and serves to strengthen bonds between women across generations. "Intentional sacred spaces provide the container for deep connection and deep healing. Red Tents offer that sacred space to women." Red Tents are held at The Hive and Grove each month - generally the first Tuesday of the month at 6:30PM. Each Red Tent has a different energy or focus, but each one serves to bring women together in celebration of each of our journeys. ​Things We Don’t Talk About: Woman’s Stories from the Red Tent is a groundbreaking 72-minute documentary film by award winning filmmaker Isadora Gabrielle Leidenfrost, PhD. Spontaneous and organic, a Red Tent is a red textile space where women gather to rest, renew, and often share deep and powerful stories about their lives. The Red Tent movement is changing the way that women interact and support each other by providing a place that honors and celebrates women, and by enabling open conversations about the things that women don’t want to talk about in other venues. 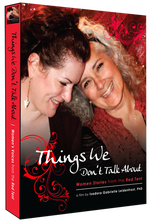 Things We Don’t Talk About weaves together healing narratives from inside the Red Tent to shine a spotlight on this vital, emergent women’s tradition. The film provides us an opportunity to remember, to listen, to know, and to find what it is we need to bring back to our communities to help awaken the voices of women.This film is intended for a mature audience. The song you are hearing, "Red Tent Temple" by Mother Turtle is also available for download from the above link. "There needs to be a Red Tent in every neighbourhood"
The weekend ends with the creation of and ritual in a Red Tent. Certificate of Completion will be presented to participants in the Closing Ritual.